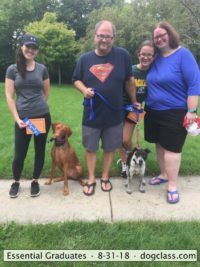 Author and Dog Behavior Expert, Amy Ammen, is Director of Amiable Dog Training in Milwaukee and Honolulu where she has been helping dog owners (just like you) polish their diamonds in the “Ruff” since 1982. 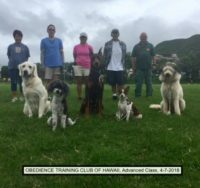 Over 40,000 dogs have been trained through Amiable Dog Training. 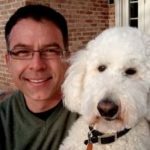 Amy provides personal, customized training and behavior counseling for dogs of all ages, breeds, backgrounds and levels. Her group classes, private lessons and workshops develop real-world skills that are practiced in a variety of settings. 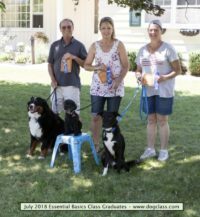 She is among the nation’s foremost authorities on training unusual breeds and solving difficult, confounding, and potentially life-threatening problems. Amy is author of six books, two workbooks and three DVDs. As a TV and radio host, Amy has hosted Dogclass TV and The Everything Pet Show and has served as an expert on-air commentator educating audiences worldwide. 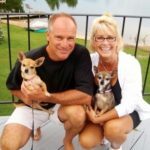 Her dogs have won over 50 titles and are High in Trial winners. 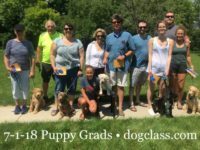 For more information contact Amy at: dogclass.com or call/text: 414 289-7785. 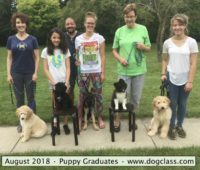 Join Puppy Class to learn step-by step, fool-proof strategies in a cost-effective, efficient manner and gain confidence through interaction. 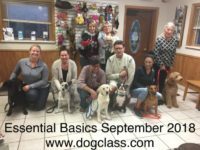 Join Essential Basics to learn the fastest way to develop a well-behaved confident companion in all environments and receive lots of personal attention for minimal cost. 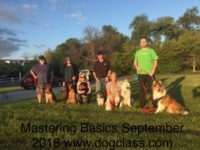 Join Mastering Basics if you want to improve the bond between you and your dog, and raise your skills (and your dog’s understanding) of commands. 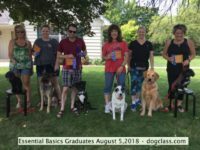 Enroll to work one-on-one with Amy to improve social skills, emotional control (or other problems), and will benefit by working in a challenging environment with individual/custom instruction. 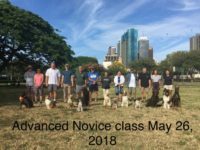 Enroll if you have very specific goals and a short time frame to accomplish them, or need to resolve household behavior issues, multi-pet challenges or a problematic family dynamic. 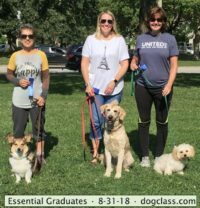 Join the Essentials Workshop to learn walking and social skills in a public setting plus car riding and anything that makes you apprehensive about having your dog accompany you in social situations. 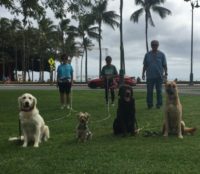 Join the Mastering Workshop to feel comfortable bringing your dog into public. Quickly and comfortably address problems in public so he can be your constant companion. 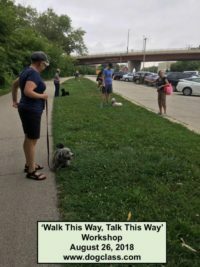 Join the Off-leash Workshop if you want peace-of-mind that your dog will always listen so he can be safe and enjoy greater freedom.